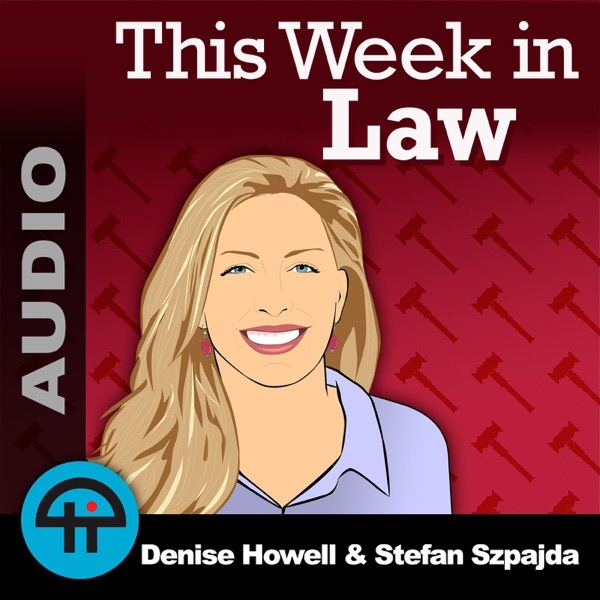 Denise Howell, Matt Curtis, Stefan Szpajda, J. Michael Keyes look back on the best of This Week in Law from 2018! Professor Mark Bartholomew, author of ADcreep: The Case Against Modern Marketing joins Denise Howell and Stefan Szpajda to talk about the advertising industry, apps sharing your location data with advertisers, how brain scans may help the future of marketing, Congress questions Google CEO Sundar Pichai, and more! Mastercard and Microsoft team up to create a "digital identity" system, is group chat the future of social media? Brokering Bitcoin, smart contract developers and the SEC, are browsewrap terms of service enforceable? And more! AT&T to crack down on piracy by cutting off service, 'Piracy Protection' insurance, Satanic Temple sues a Netflix TV show for copyright on a statue, Apple has a tool to see what data is collected, sued over a retweet, bots to help you in small claims court, Intel's data privacy bill and more! Mocking Kanye for showing his password on camera, Feds forcing people to unlock their phones with FaceID, the CFAA and the First Amendment, Fortnite profiting off of other people's dance moves, a game company uses facial recognition to detect minors, "Do Not Track" on browsers doesn't do anything, and more!